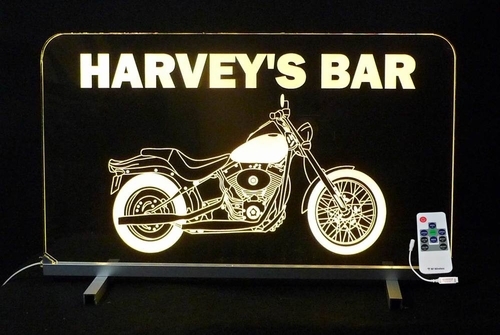 Light up the bikes in your garage with this personalized LED sign. Enter in whatever you'd like the sign to say, and we'll add the motorcycle image below it. You're in charge of the remote control LED lighting, set it to one color for a constant glow or press the buttons to have the sign go into party mode.